Meet Maulee, my special geriatric cat. 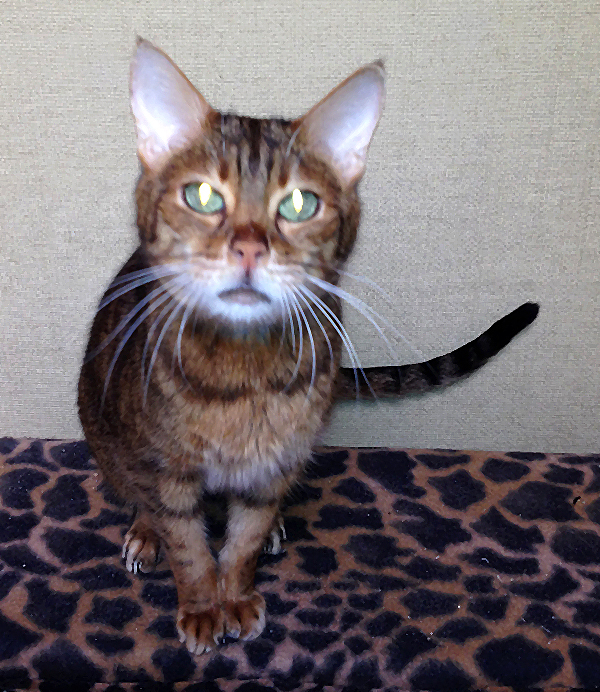 She is an active 19-year-young Bengal diagnosed with a health condition known as feline cognitive dysfunction syndrome. Maulee used to get confused and lost at night, screaming for me to rescue her. I would find her “lost” in a room, facing a corner howling as loud as she could. It was heart wrenching to hear. During the day she would wander around the house aimlessly, crying and restless. I was able to do things to change this behavior. Maulee’s cognitive challenges have dramatically decreased since I introduced activities that mentally and physically stimulate her. We have a daily routine that begins every morning. It starts with her jumping up on the top of the toilet where she sits and waits patiently until I give her a favorite treat. Sometimes she shakes hands or sits pretty. We follow this with a short clicker training session and a few minutes of low-impact play. Then she eats her breakfast. We repeat this at every meal, though sometimes instead of playing or clicker training we play fetch or do treasure hunts and treat rolls. I place favorite treats or small meal portions on shelves or cat trees, or I hide them in toys and roll them on the floor for her to hunt and chase. Varying the activities is stimulating and helps keep Maulee from becoming bored. Because we stick to a schedule, she is alert, anticipating our games. I have made a few changes to the house as well. At night, all of my cats are limited to the back bedrooms and the office. Doors are kept closed when it is dark so that Maulee does not wander into the living room — the place where she became confused. I have also added nightlights throughout my house. She now has more interactive toys to bat around and chase as well. Every room has shelves, perches, and cat trees to climb. Because she is fragile, I made sure that the shelves are easy to reach via jump and are nice and wide — ÔÇöperfect for her to lounge on without taking a tumble. Maulee is now doing well. The introduction of the new activities seems to have improved her mental state. She does not wander aimlessly around the house vocalizing. My little senior citizen is more alert and active, and she does not end up lost in corners anymore. 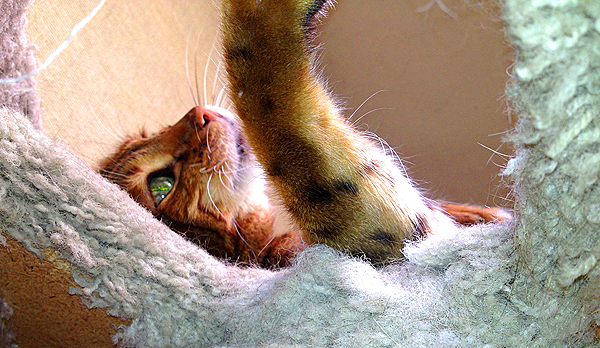 As cats age, they are likely to develop cognitive challenges to varying degrees. The exact age this happen varies from cat to cat. Some start showing symptoms as early as 10 years old, others show them at a more advanced age, and some remain sharp and alert throughout their lives. Not all cats exhibit the same behaviors as Maulee. In addition to excessive vocalizing and acting disoriented in familiar rooms, some elderly cats develop litter box challenges or become aggressive toward resident animals and people. Others become restless or fearful and hide. Sudden changes in behavior — in routine and sleep cycles, and a deviation in habits — can be indications of dementia and cognitive decline. 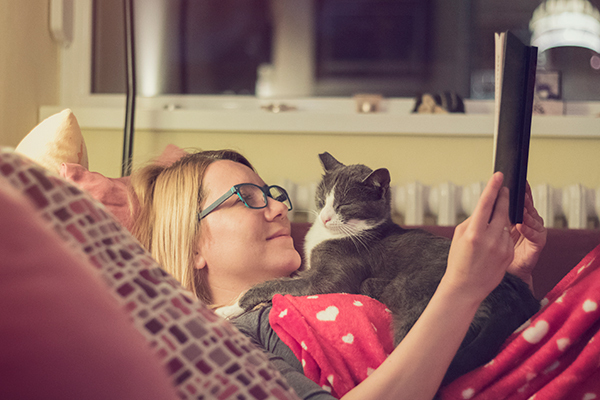 Note that these behaviors are not limited to cats with cognitive issues. Medical problems can also cause all of these same behaviors. 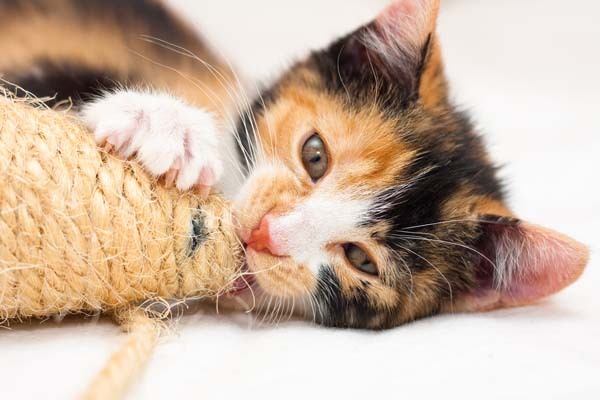 The only way to determine whether older cats with puzzling behaviors are mentally declining is to have them thoroughly evaluated by their veterinarians. Arthritis, high blood pressure, thyroid disease, diabetes, incontinence, and kidney disease are a sampling of medical issues that can cause the same behaviors as cognitive decline. After all possible medical problems are addressed or ruled out, the troubling behaviors can be approached as symptoms of cognitive dysfunction. in addition to doing stimulating activities and making homes fun for cats, my advice for clients with geriatric cats is to establish a routine and stick to it. 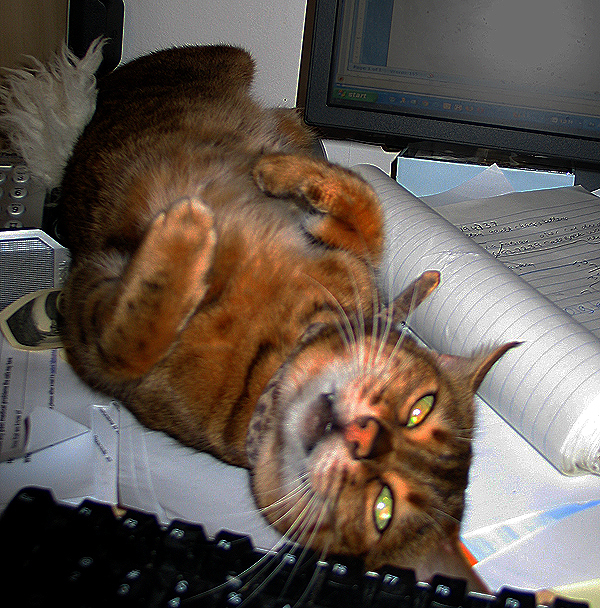 Cats do not do well with changeÔÇöit causes them stress. Older kitties who are cognitively challenged tend to become disoriented when there are disruptions to their schedules and in their homes. 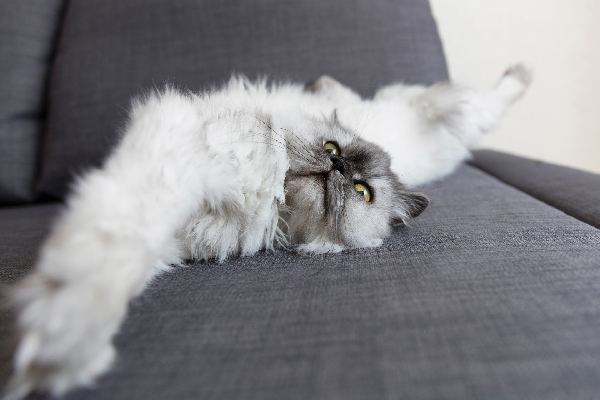 Routines, repetition, and consistency provide structure and help cats feel secure and oriented. Schedules are also great for creating anticipation. Senior kitties quickly figure out the routine and anticipate when their favorite people will interact with them and give them delicious treats and meals. The anticipation helps keeps elderly cats focused and mentally stimulated. People should always be mindful of their cats’ limitations. 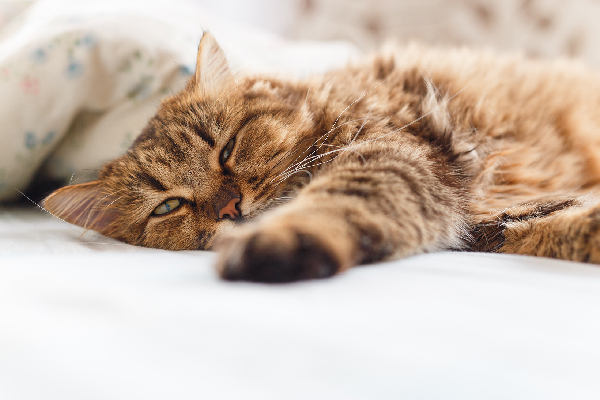 Painful medical conditions and frailty limit the type of activities that cats can do. Every cat is different. Some do well with brief low-impact play sessions, others benefit from basic clicker training: touching an object with their nose. Cats should never be forced to participate, but they should be encouraged and then reinforced with affection and treats. 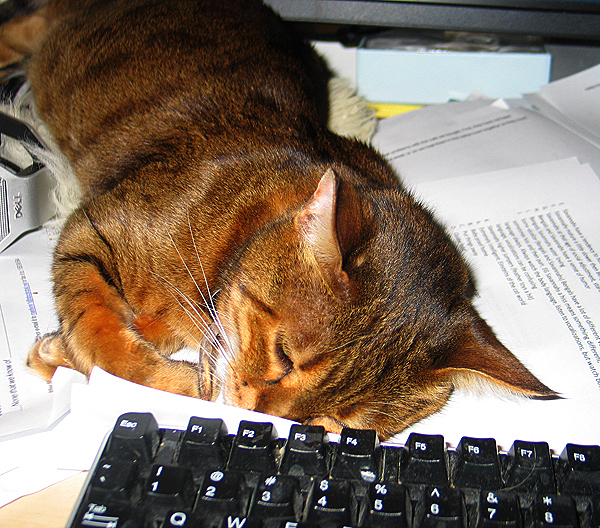 I work with many cats who are cognitively challenged. Like in Maulee’s case, I find that elderly cats seem to benefit from doing mentally stimulating activities every day. There appears to be a reduction and, in some cases, elimination of the symptoms that accompany cognitive decline. Although the disease probably cannot be stopped or reversed, perhaps the progression can be slowed down. I like what I see. ÔÇó Are Laser Pointers Actually Good Cat Toys?